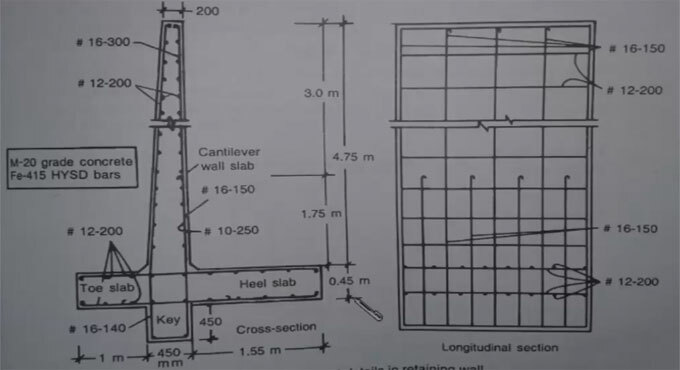 This construction video tutorial will teach you how to examine shear stresses at the juncture of stem and base slab for a cantilever retaining wall. Retaining walls are generally developed to retain soil mass. Conversely, retaining walls are also built up for aesthetic landscaping purposes. Here, P stands for total horizontal earth pressure. W stands for maximum possible frictional forces. To learn the complete process, watch the following video.